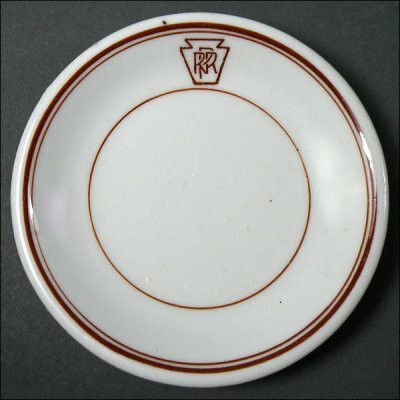 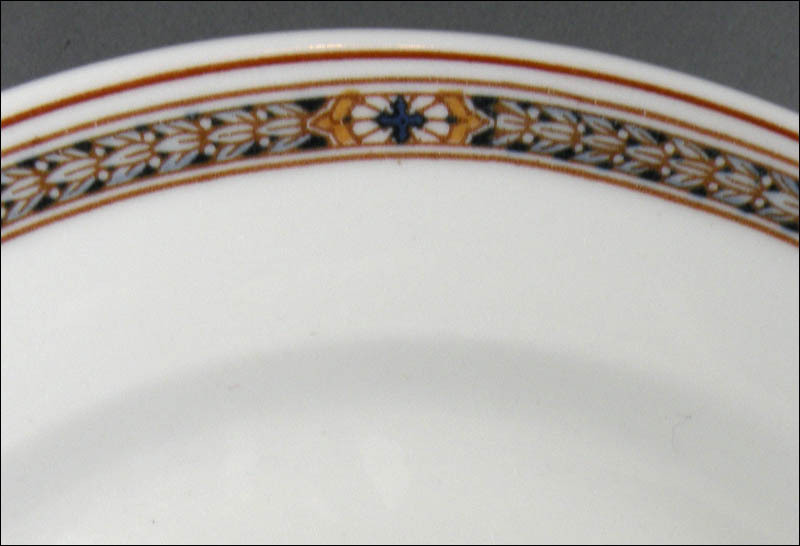 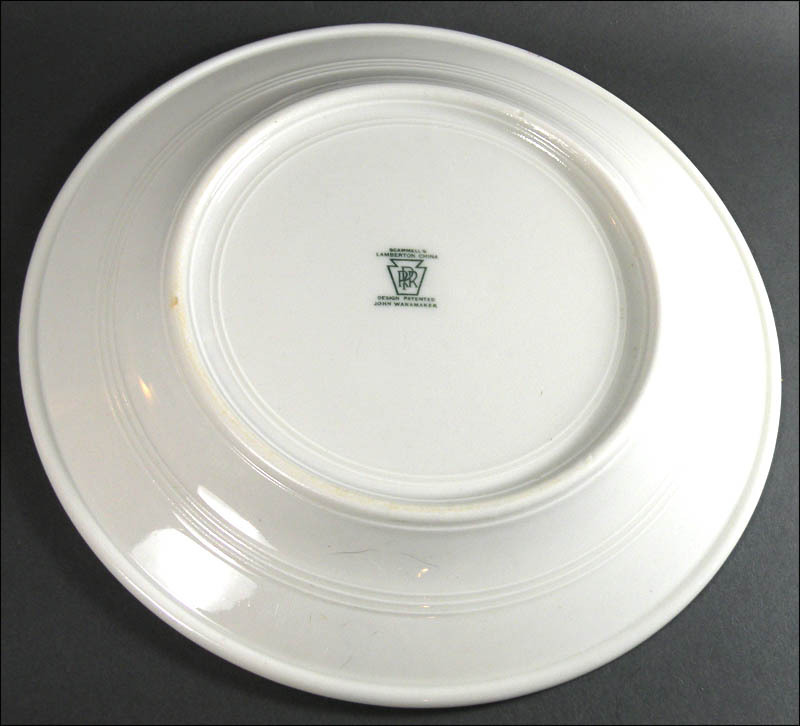 This butter pat is a very nice example of the Keystone pattern, used in the 1920s. It is 3 ½” in diameter and in excellent condition with only light wear. 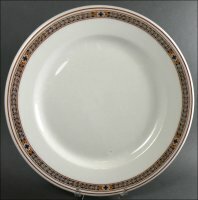 There are a number of tiny glaze pops in the well that I think are typical of this era, and as you can see in the photo, there’s a speck of extra color on the rim.